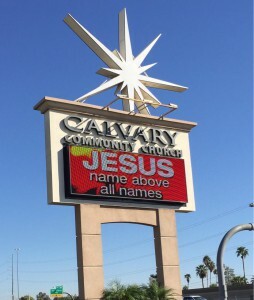 Calvary Community Church in Phoenix AZ is known for a love of God’s Word and celebration of His Grace toward us. One reason these qualities are so strong at Calvary Church goes back to our beginning in 1982 when Pastor J. Mark Martin left a legalistic, unbiblical denomination because he was compelled to teach the Good News of God’s love and salvation by faith in Jesus. Calvary Community Church, a non-denominational church, started with only 11 people in a northwest Phoenix elementary school band room and today has grown to be the church home for over 12,000 believers. You will love Pastor Mark Martin’s dedication to the Word and how he brings the Bible alive in a way you can understand and enjoy. You can view or listen to a recent message online at our Media Library. We meet at two campus locations: a former shopping center right off the Black Canyon Freeway near Cactus, and also at a former theater located at 59th Avenue and Bell. Our worship services on Saturday evening and Sunday morning center around praising our Lord Jesus in song and discovering His love and direction for us through His Word. The Sunday evening service emphasizes a time of celebration through worship and communion and the study of the Word. View our Service Times for details. 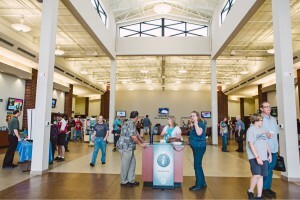 Calvary Community Church Phoenix – second location main foyer. Because the Bible is the living and authoritative Word of God, we meet Wednesday nights to study it chapter by chapter, verse by verse. We’ve found that this balanced approach to Bible study helps us to grow as God applies His Word in our lives. One of the best possible ways to experience solid growth in your Christian life is by becoming involved in a Bible study.These smaller, more intimate groups provide the kind of environment where you can find New Testament “fellowship”; that is, the sharing of our common life in Jesus Christ. Check out our Ministry Directory for a class that’s just right for you. 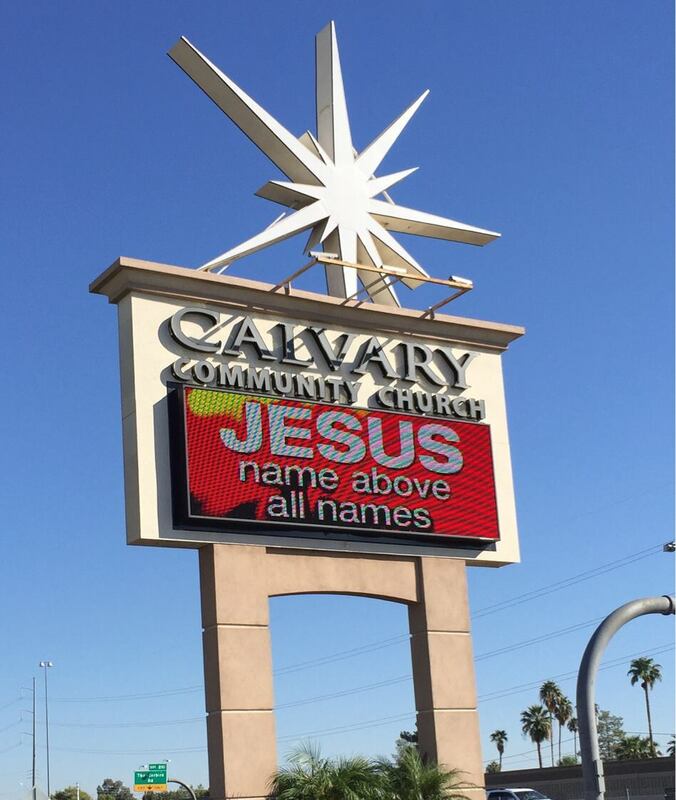 We at Calvary Community Church Phoenix, AZ will be honored if you chose to visit us.